Designed to go with the new Scorpion Birmingham jacket, the Scorpion Birmingham Pants are a great new addition to the Scorpion riding gear family. These are a great option for people looking for the casual look of cargo pants but with the protection of motorcycle pants. The Scorpion Birmingham Pants are made of a waxed cotton and nylon blend with an EXO-wax coated out layer. The pants are 100% waterproof and seam taped. Heavy duty reinforcement at the knees, shins, and seat along with CE certified SAS-TEC armor provide excellent protection. These pants definitely have a classic style and are bound to appeal to a wide variety of riders. 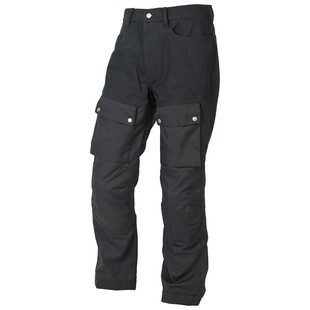 Overall, the Scorpion Birmingham Pants are great for those riders who want a classic style but with modern protection. These are sure to look right at home on any cafe racer or classic sports bike.